Our look at classic Christmas songs from old Hollywood films continues with Bing Crosby and Marjorie Reynolds (dubbed by Martha Mears) performing White Christmas from Holiday Inn (1942). White Christmas is one of the best-selling records in music history and the most iconic Christmas song ever written for a Hollywood film. Legendary composer Irving Berlin wrote White Christmas during the 1938 holiday season. Berlin was in Hollywood writing songs for movie studios while his family stayed back home in New York. Berlin desperately missed his family and the traditional Christmas-time trappings of snow and decorations so he wrote White Christmas as a way to ease his homesickness. Bing Crosby serenades Marjorie Reynolds in Holiday Inn (1942). And I'm longing to be up North. The first verse is rarely heard today, but Barbra Streisand recorded the entire song in 1967 for A Christmas Album. 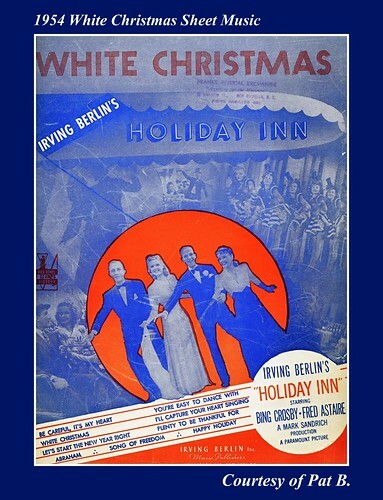 Berlin's holiday revue idea was developed into the film, Holiday Inn, starring Bing Crosby, Fred Astaire and Marjorie Reynolds. The film centers around Jim Hardy (Crosby) who leaves his successful show business career to become the proprietor of an inn in Connecticut that is only open on holidays. 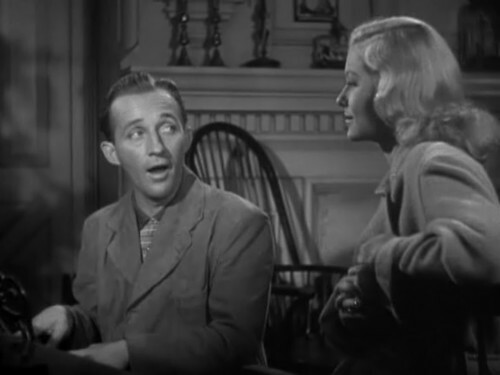 White Christmas is introduced early in the film as Hardy shares his hopes and dreams with his love interest, Linda Mason (Marjorie Reynolds). The song is reprised at the end of the film as a way to reunite the star-crossed lovers. Crosby introduced White Christmas to the public on Christmas Day 1941 on the Kraft Music Hall radio broadcast. The song did not go over well initially, despite Crosby and Berlin's high hopes. The Valentine's Day number from Holiday Inn, Be Careful, It's My Heart, was the first big hit from the film largely due to Frank Sinatra's version of the song with the Tommy Dorsey Orchestra. It wasn't until the autumn of 1942 that White Christmas began to gain in popularity. The song was popular with U.S. soldiers serving in World War II because of the comforting imagery and palpable homesickness in its lyrics. White Christmas eventually took off with the general public. It was the No. 1 song on the Billboard charts in 1942, 1945 and 1946. 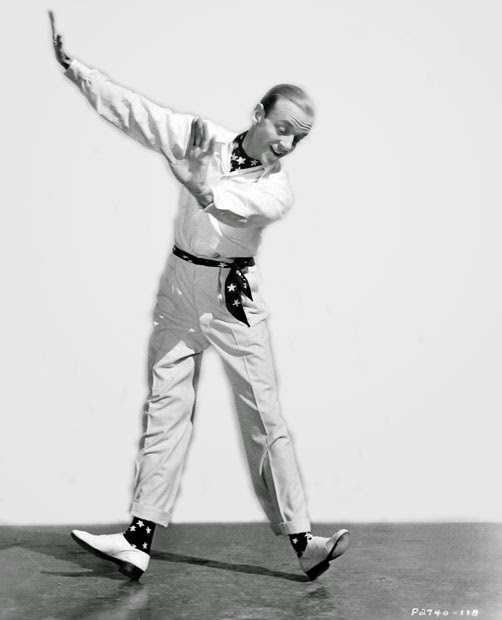 Fred Astaire gets ready for his dazzling Fourth of July number in Holiday Inn (1942). White Christmas was introduced to a whole new generation when Macaulay Culkin lip-synced to The Drifters 1954 version of the song in the smash hit, Home Alone (1990). Sources for this article were The Songs of Hollywood by Philip Furia and Laurie Patterson.